Hamburg, Germany. April 1, 2019 – Over nine years ago Research Frontiers Inc. (Nasdaq: REFR) and Vision Systems launched a development program together with one goal in mind: to bring the best experience possible to passengers on aircraft. 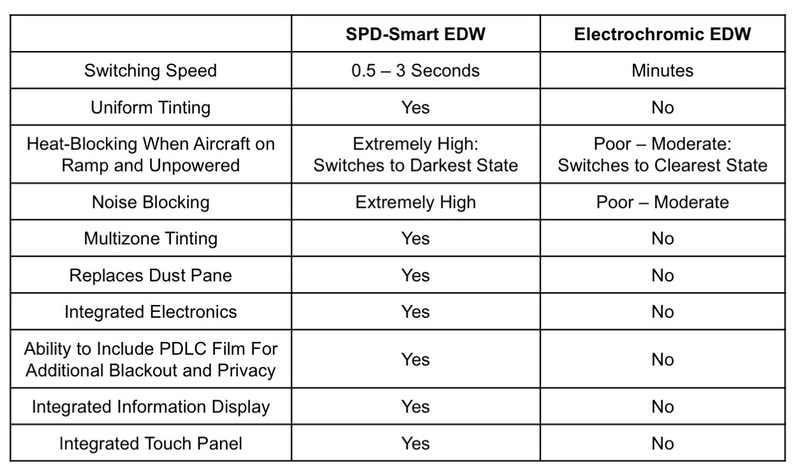 Joining this effort were Hitachi Chemical and Gauzy, which now have production lines in Japan, Israel and one now being built in Germany, to produce SPD-Smart light-control film used in Vision Systems’ electronically dimmable windows (EDWs). Note: This press release contains forward-looking statements, including estimates and predictions based upon information currently available to Research Frontiers. Actual results, especially those reliant on activities by third parties, could differ and are not guaranteed. Any forward-looking statements should be considered accordingly. Research Frontiers undertakes no obligation to update any forward-looking statements made in this press release. 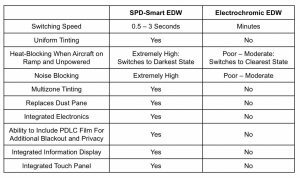 “SPD-Smart” and “SPD-SmartGlass” are trademarks of Research Frontiers Inc. “Nuance,” “Nuance Dark,” and “Noctis” are trademarks of Vision Systems.